Series engine offers a new achievement in this line of great diesels. 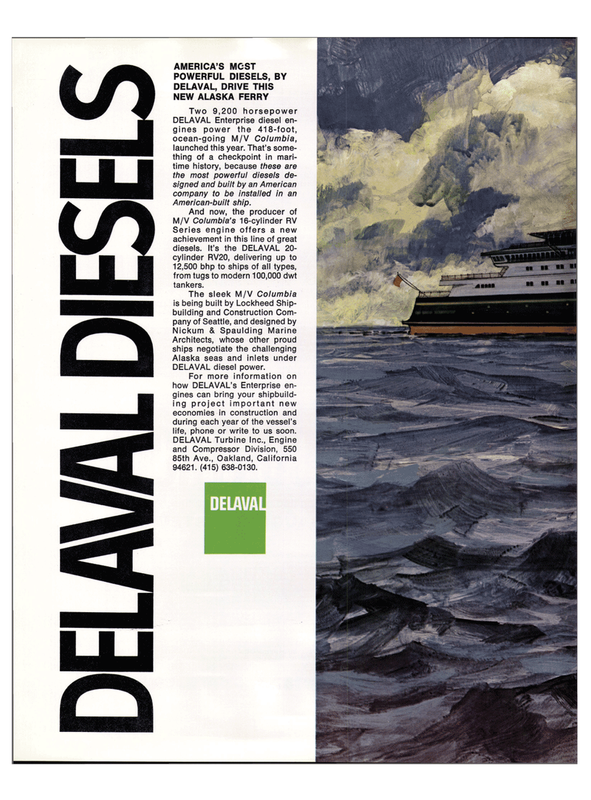 It's the DELAVAL 20- cylinder RV20, delivering up to 12,500 bhp to ships of all types, from tugs to modern 100,000 dwt tankers. For more information on how DELAVAL's Enterprise en- gines can bring your shipbuild- ing project important new economies in construction and during each year of the vessel's life, phone or write to us soon. DELAVAL Turbine Inc., Engine and Compressor Division, 550 85th Ave., Oakland, California 94621. (415) 638-0130.